Complete affordable and accessible health care... this is the vision of the Sparkport Group. This vision has been achieved by developing a creating a hyper-pharmacy, which would revolutionise the retail pharmacy industry, by providing affordable, accessible healthcare as well as the widest possible range of goods at competitive prices. Founded in 1983 as a single pharmacy in Sparks Road, Overport, the Sparkport Group of Pharmacies is now currently located throughout KwaZulu-Natal. 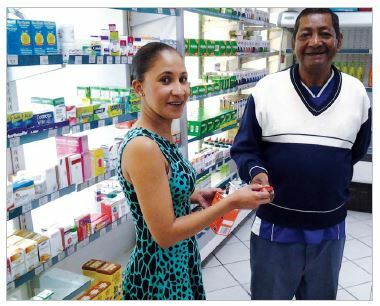 Goolam Mahomed and Solly Suleman, lecturers in Pharmacy at what is now the University of KwaZulu-Natal, decided to leave the field of education and brave commerce and industry and open a small 100m2 shop, on the corner of Sparks Road in Overport Durban. Since then, Sparkport has established itself as a household name and a recognised innovator in the healthcare sector that is sensitive to the needs of the public. 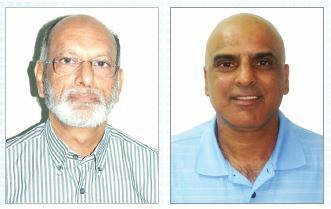 From small beginnings, through the sheer dedication and commitment by these two visionaries, the group has grown significantly, and now comprises nine pharmacies throughout KwaZulu-Natal, including four franchised stores in Chatsworth, Umlazi, Hillcrest and Raisethorpe. The team has also purchased land adjacent to the Overport branch and built the pharmacy into the modern, state of the art design that it is today. Sparkport Pharmacy has been voted the Best Pharmacy for nine years in a row, in the Independent Newspaper Readers Choice Awards. They have also been awarded a PMR Diamond Arrow award and were a finalist in the FNB KZN Top Business Awards. The Group continues to provide their customers with affordable and accessible healthcare, and serving them with care and courtesy. The success of the company is founded on a coherent marketing strategy to be innovative and sensitive to the needs of the public, a strategy which has clearly been successful. pillar on which they built their business. In 1992, Sparkport introduced their first Sparkport Clinic. Now emulated by many of their competitors, this was the first of its kind in KZN. Over the years, Sparkport has continued to innovate for their customers" convenience, offering franchise opportunities to extend their services to new areas, introducing discreet online shopping for more personal items (or for simple convenience) and continuing to offer home deliveries. The Group is also committed to providing a one-stop health shop, and for this reason they offer access to script dispensing, retail health and lifestyle items and print shops. The Sparkport Group has clearly expressed their intent to to extend beyond KZN to become a national player in the delivery of affordable, accessible and quality health care. They will continue to look for new expansion opportunities, build the Sparkport brand and promote and protect their identity. Sparkport Group of Pharmacies prides itself in giving back to the communities in which it operates and who have played an important role in their success. Sparkport is passionate about contributing to the improvement of literacy, the alleviation of poverty and the development of sport within the previously disadvantaged communities. The group sponsors a wide range of projects, from nonprofit organisations, disadvantaged schools, tertiary institutions and various sporting initiatives. Sparkport co-hosts the annual Sydenham Sports Club Sparkport Challenge, hosts tables at the annual Comrades Marathon. The Group also sponsors the Ronnie Govender and Gcina Hlope Literary Awards and contributes to education. Ten wheelchairs were sponsored to the Big Favour on East Coast Radio, blankets are donated to their winter warmth campaign and toys for their annual Toy Story during the Christmas period. Sparkport has also hosted and sponsored their very winter campaign, distributing blankets and food hampers to various disadvantaged homes in and around the greater Durban area and has helped to raise funds for CHOC. Auditors / Accountants: Faezil Suleman and Assoc. Our undertaking has always been, and will continue to be, to provide the consumer with the best, most affordable and accessible pharmaceutical care as well as offering a comprehensive range of merchandise and competitive prices and exemplary service. We are totally dedicated to the task of maintaining high standards in all spheres, with special emphasis on quality service and courtesy. Our philosophy is characterised by fair dealing and determination to provide a convenient and pleasurable shopping experience for our customers, as well as empower our consumers through education. Branches: see website for more info.